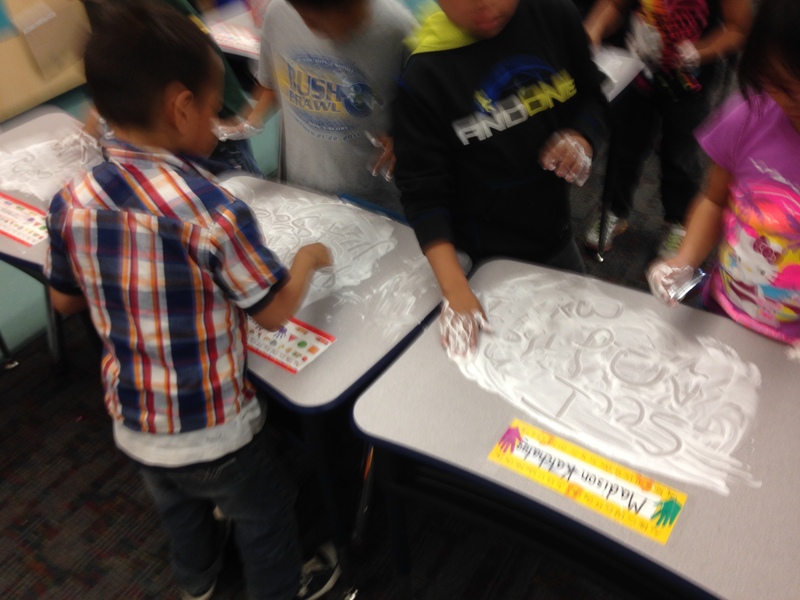 For a student that stays on green 4 out of the 5 days in a week, they get to participate in an “All-Star Party” to celebrate their good behavior! 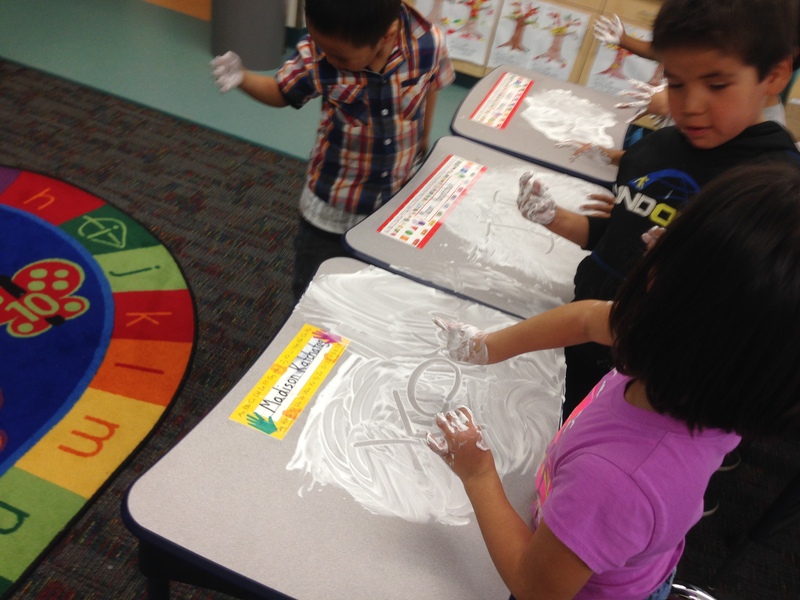 This week our WHOLE CLASS made it to the All-Star party. 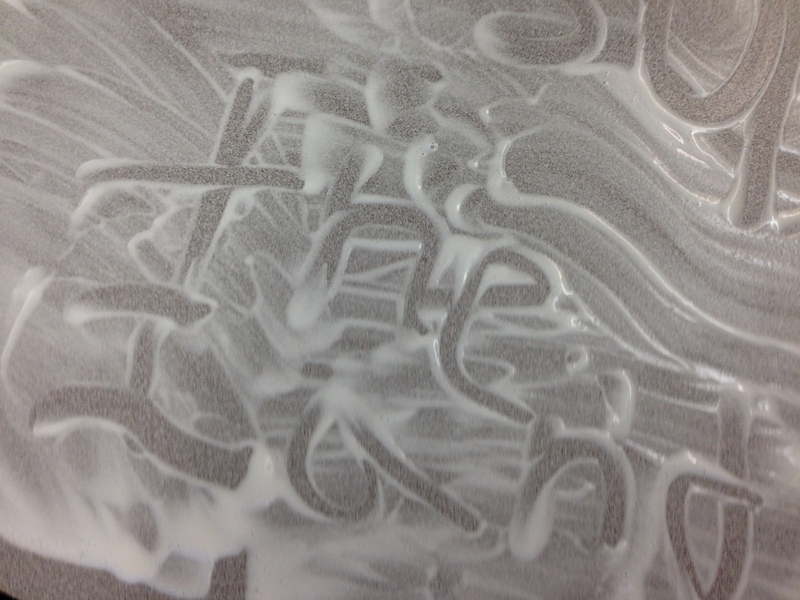 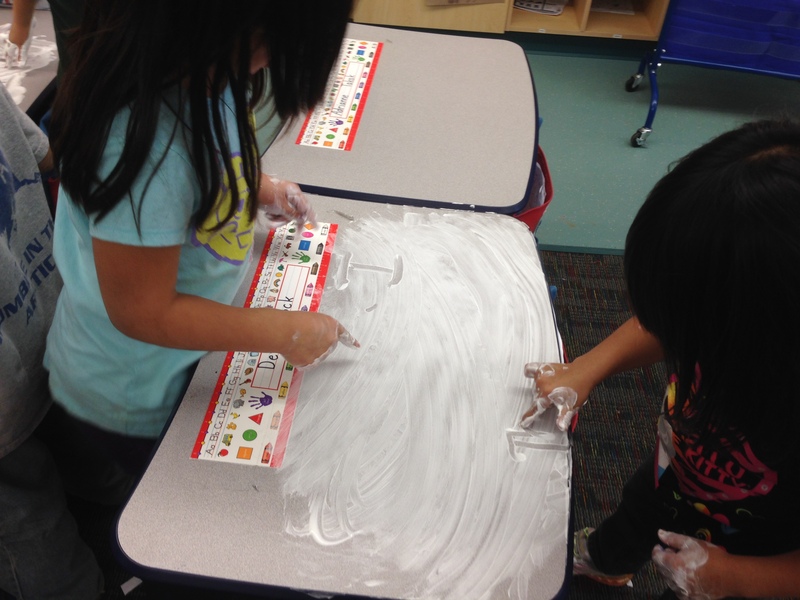 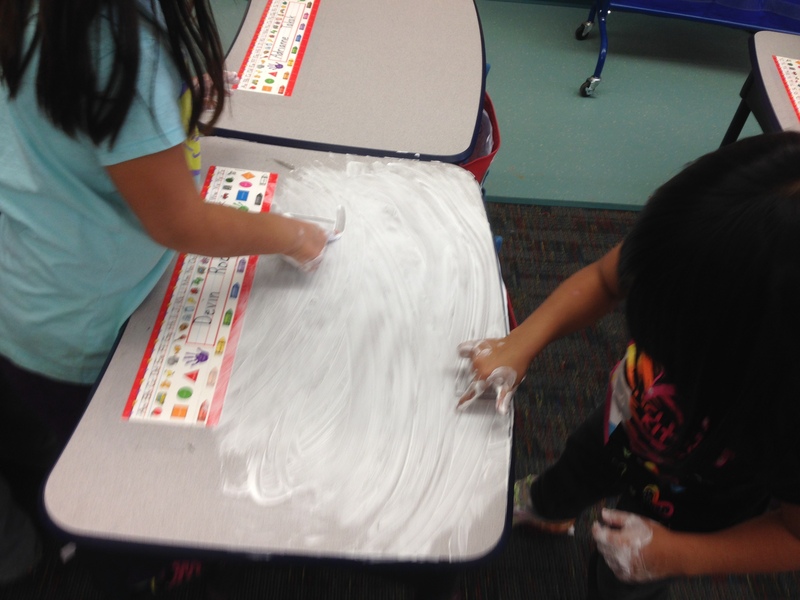 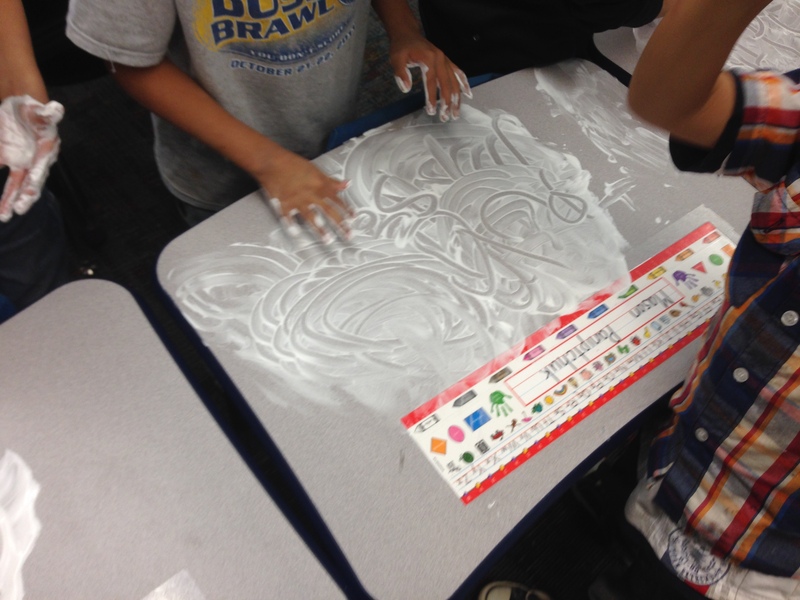 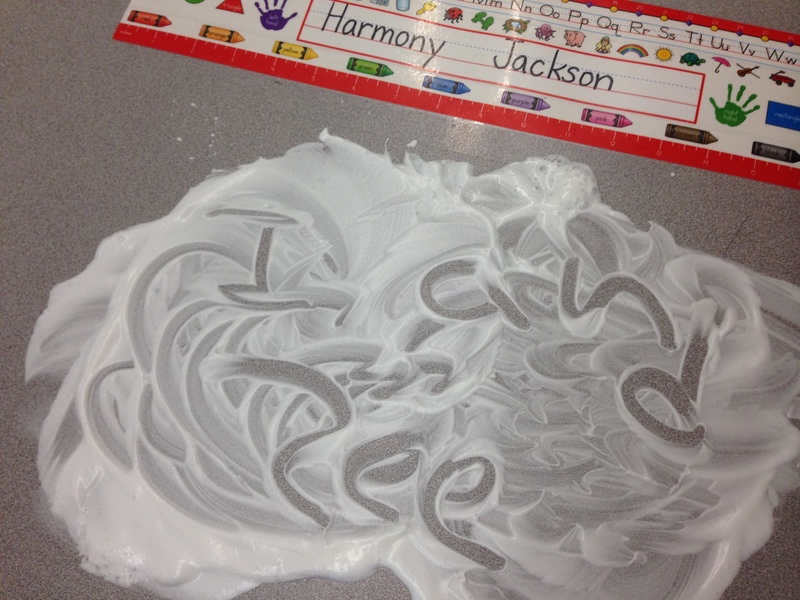 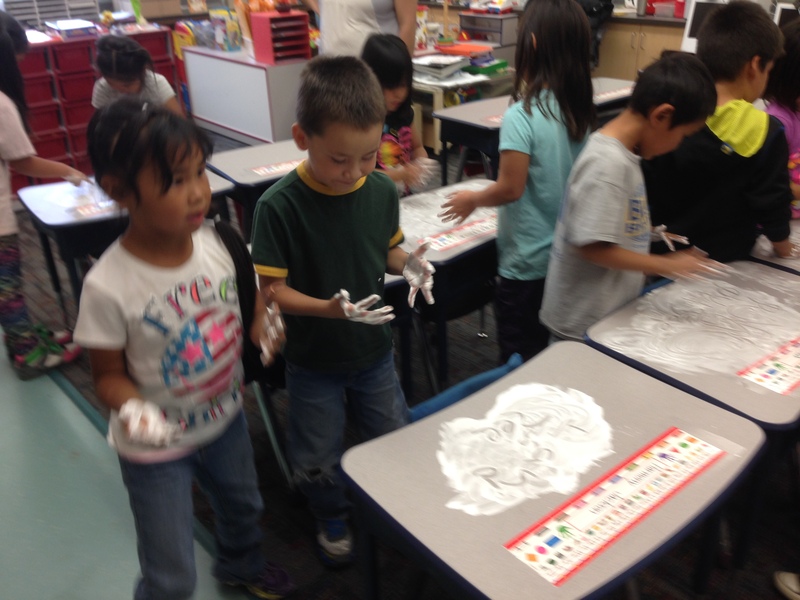 We had a shaving cream party where they practiced writing their sight words in shaving cream.